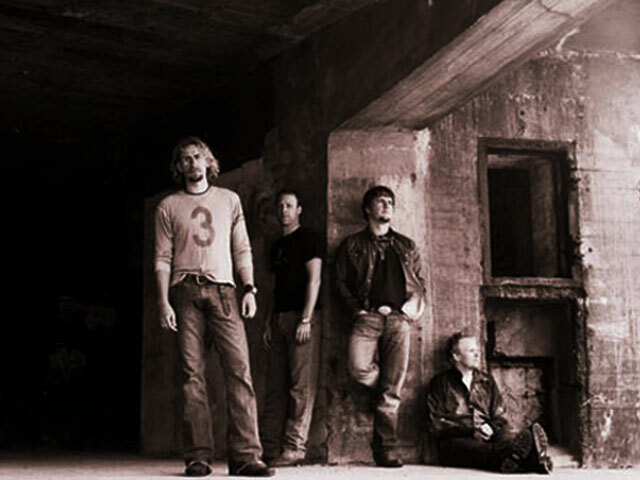 In 1996, Canada's Nickelback was a cover band in Hanna, 215 kilometres northeast of Calgary. Tired of playing other people's songs, singer/guitarist Chad Kroeger borrowed 4.000 CD, and travelled to Vancouver. 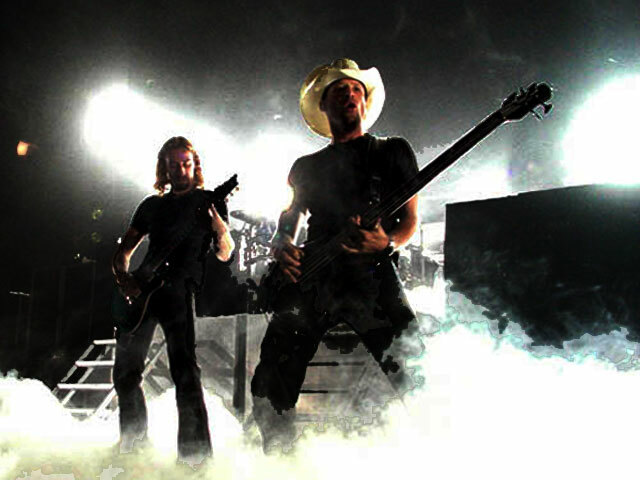 Brother Mike Kroeger and bassist Ryan Vikedal followed two months later. In January 2000, The State was released independently during a slow rock period. At the time, Canadian content requirements were increased and local rock radio needed homegrown product. They found was Nickelback's single "Leader of Men." 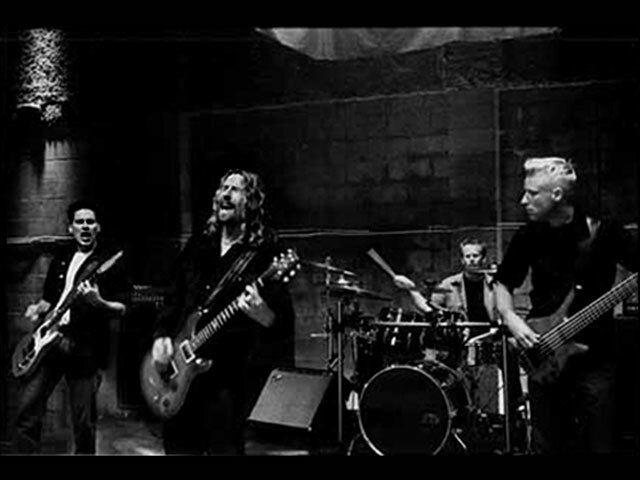 Nickelback toured ceaselessly for The State, and ended up being distributed by Roadrunner/Island/Def Jam in the US and EMI in Canada. The initially independent album eventually sold 500.000 copies. Many of the songs for Silver Side Up were written before The State was completed. The songs were written in the first person and had more immediacy. Songs like 'How You Remind Me' and 'Never Again' propelled Silver Side Up to five-time platinum status in the US. In 2003, The Long Road followed up on the phenominal success of Silver Side Up. Nickelback delivers more of the same with 'Feeling Way Too Damned Good,' 'Figured You Out,' and 'Someday.' The breakthrough record received critical acclaim for its combination of power and passion. Success applied a different standard to their follow-up The Long Road. The critics were much tougher on the now commercial Nickelback. Listeners were critics too. 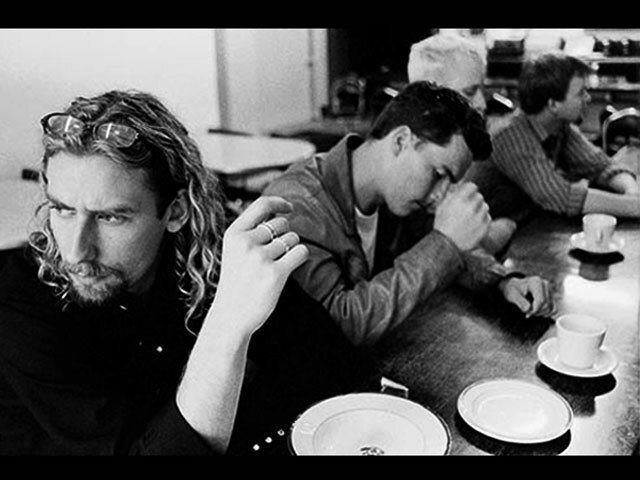 There is even a web-site that overlays Nickelback songs onto to one another to show how they plaguerize each other. I seem to remember doing this with .38 Special songs in the 80's. Nevertheless, more records are sold and more shows performed.